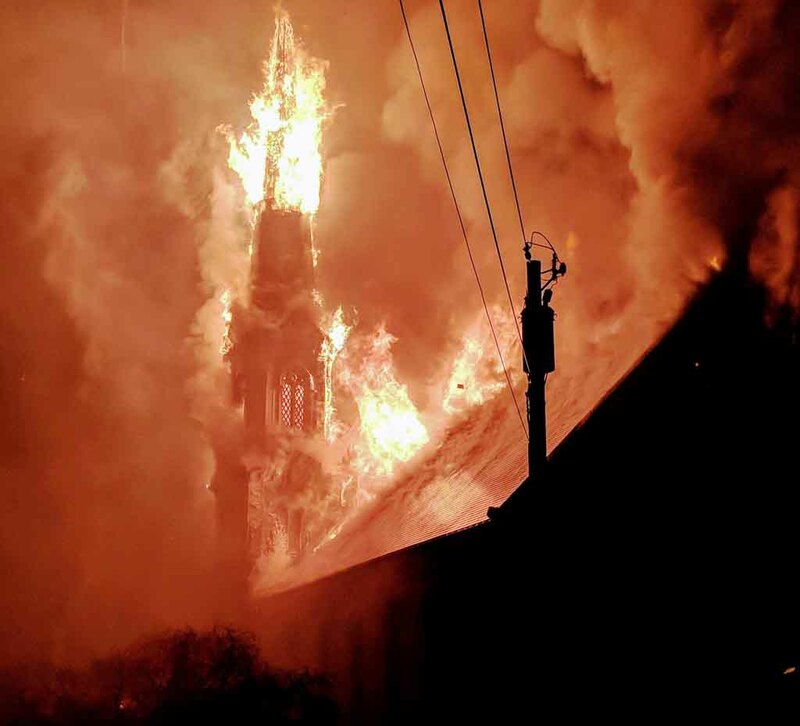 Almost thirty years after black metal terrorized Scandinavia by igniting 77 churches in a dramatic statement against the politically-correct nature of humanism as taught in the church, burning churches are back in the news as houses of worship blaze across the West. Last Sunday, the historic Church of St. Sulpice in Paris was set on fire just after midday mass on Sunday, Le Parisien reported, although no one was injured. Although secular humanist groups were blamed, the miscreants have not been caught. With the ignition of Notre-Dame today, it looks like a bad time to be a flammable church. Those ugly brick and glass things are probably OK however. The fire marshal said Matthews posted on Facebook about and showed interest in a movie called “Lords of Chaos,” which Browning said is a recent Norwegian film that involved church burnings. Widespread frustration with Christianity may reflect its failure to defend against secular humanists, foreign groups, big money, neurotic egalitarians, and others who are currently eating what is left of the corpse of the West. As this society proves unable to find any common ground or shared cooperative purpose, expect warfare among special interest groups to accelerate. Might be a good time to stock up on guns, ammo, and classic black metal vinyls. I gots me sum 666 problems, but a church aint one. There’s no such thing as “Christianity”. There’s too many different denominations across the world of which half are non-denominational and could care less if some building gets offed from institutionalized/mass funded religions… which is mainly the Catholic church and its offshoots that you and the majority are unknowingly alluding to. It’s common practice of you silly heathens to lump it all together because you don’t care enough to do proper research. So this effectively renders organized religion in general as worthless, and even offensive in God’s eyes, and that definitely includes Satan’s biggest church on earth at the moment, namely te Catholic Church. True Christianity is a personal thing that has nothing to do with worldly matters and politics… but don’t take my word for it, listen to that moron Vikernes on what he ignorantly spouts about so called “Christianity” right? Yeah, because he makes “good” music, so that means he must be a smart person, lol. So, let them burn more churches, big deal, it won’t affect anything, except good riddance on false religion. The Notre Dame thing was probably another false flag by the Satanic elites anyway and more is to follow. Well, you cannot actually make good music if you are stupid. But being smart does not guarantee your choices are “the best” either. Burning churches does not make you stupid automatically either.